Research Center Marine Intellectual Technologies. The International Conference MORINTEX-OCEANTECHNICS-2012 will be held in St. Petersburg in March 2012. This is a conference on the design, construction and operation of ocean technical facilities and ocean shelf development challenges. The preceding Conferences MORINTEX-95-97-99-2001-2003-2005-2008-2011 became significant events in the research life. Traditionally, leading scientists and experts from major shipbuilding companies and scientific institutions of Russia and foreign countries take part in the Conferences MORINTEX. 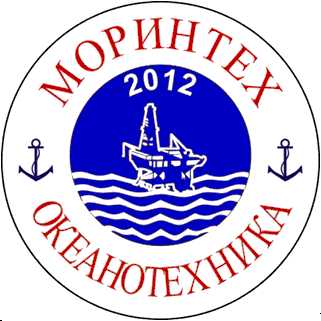 The Conference MORINTEX-OCEANTECHNICS-2012 is also intended as an international forum with the participation of major Russian and foreign design and shipbuilding companies, educational institutions and research organizations. On behalf of the Organizing Committee, I would like to invite you and your experts to participate in this Conference. Also, you are kindly requested to join the International Program Committee of the Conference, enter BP Russia into the list the Conference Organizers and render sponsor assistance to the Conference. The international conference MORINTEX-OCEANTECHNICS-2012 is a conference on the design, construction and operation of ocean technical facili-ties, and ocean shelf development challenges. Anchor systems, risers and positioning systems. To make a report at the Conference, you are required to send your application and the report to the Organizing Committee before February 25, 2012 by e-mail to the following address: oceantechnics-2012@mail.ru or oceantechnics2012@gmail.com Detailed re-quirements to report forms are sent by the Organizing Committee on demand. Working languages of the Conference are Russian and English. The reports selected based on the results of the Conference will be published in a special edition of Scholarly Journal “Marine Intellectual Technologies” provided that report texts executed in accordance with the requirements to articles for Scholarly Journal “Marine Intellectual Technologies” (www.morintex.ru) are submitted. The Conference covers a wide range of worldwide intellectual and information tech-nologies applied in the design, construction and operation of ocean technical facilities, as well as ocean shelf development challenges. Your participation will give you an essential impulse to the solution of your problems. The Organizing Committee of the Conference invites enterprises, institutions and companies to participate in the arrangement and holding of the Conference. The Conference program will be sent to you on request in February 2012. The Conference participation fee (per person) is EUR 400 (participation in official events of the Conference; receipt of Conference materials).